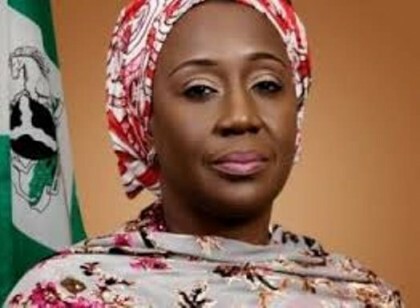 The minister of state trade and investment Aisha Abubakar has challenged Nigerian traders to diversify and go into trading and manufacturing towards adding value to the economy. The minister stated this while hosting the delegation of a trade union in her office. The visit by this group of traders is in line with federal government policy of identifying genuine business partners and encouraging synergy towards the sustainable business environment. And being the first group to visit the ministry shortly after president Mohammad Buhari presented the 2017 budget to the national assembly, they were with a handful of proposals that will help further boost and add value in the nation’s business circle. The minister of state trade and investment Aisha Abubakar assured the traders of policies that will assist trading. The 2017 budget the minister said meant well for genuine businesses to strive in the country as so much was set aside to revive the ailing industries and support the growth of small and medium enterprises. The group commended the government efforts in fighting the insurgency and creating jobs.